The Total Gym Jump Trainer builds explosive power and develops lower body muscle mass with two primary movements, the squat and the squat jump. Uniquely designed to facilitate plyometric jumping exercises leveraging both linear bodyweight resistance and variable band resistance, this jump exercise machine produces both concentric and eccentric loading of the muscles – allowing users to accelerate and decelerate quickly during a squat jump in a safe, controlled manner. 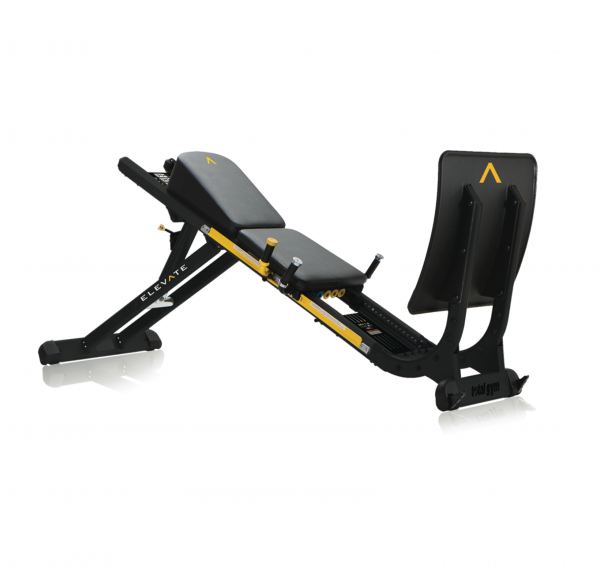 Able to accommodate all levels of fitness, the Jump Trainer supports the spine during traditional squat exercises so that users can comfortably control the descending and ascending phases of a squat or jump, while providing an opportunity for advanced variations including, single-leg squats and staggered stance squats.